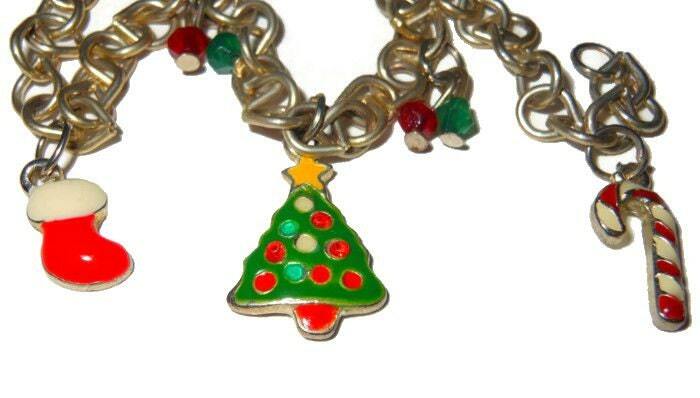 Christmas charm bracelet, colorful enamel charms on a silver tone link bracelet. 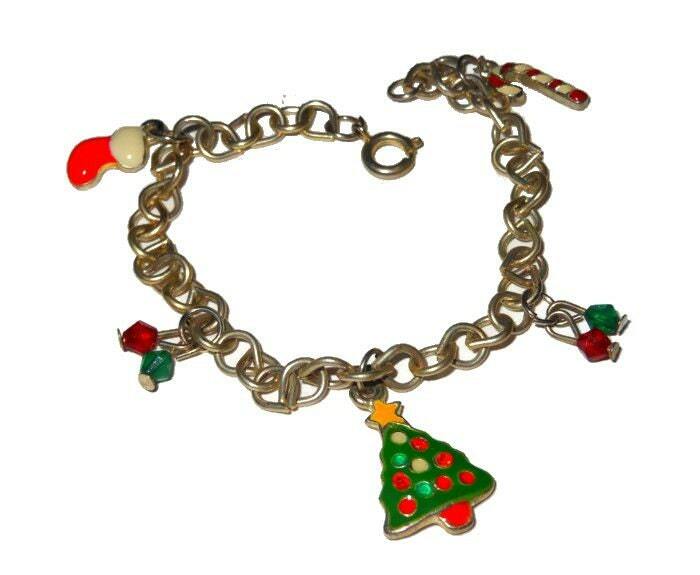 Adorable bracelet that will be sure to liven up any holiday outfit! The chain is unique with tear drop shaped connectors. 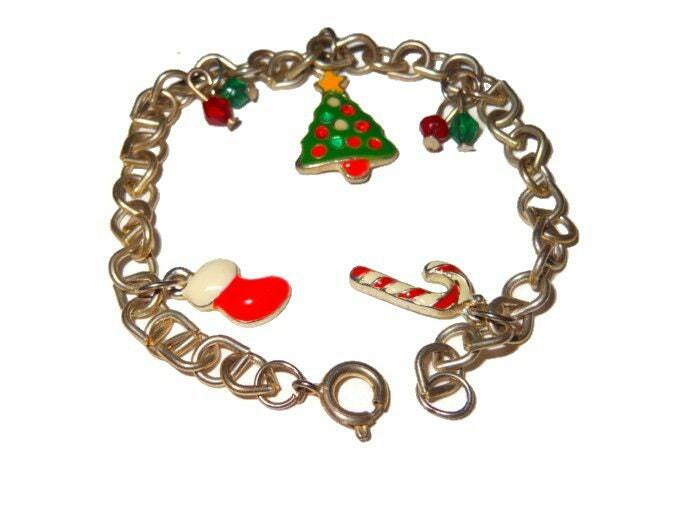 The chain measures 6 3/4" (14.6 cm) long without the clasp and is in very good vintage condition.